For the 2011 Emerald City ComicCon, my friends and I decided to go dressed up as X-Men. 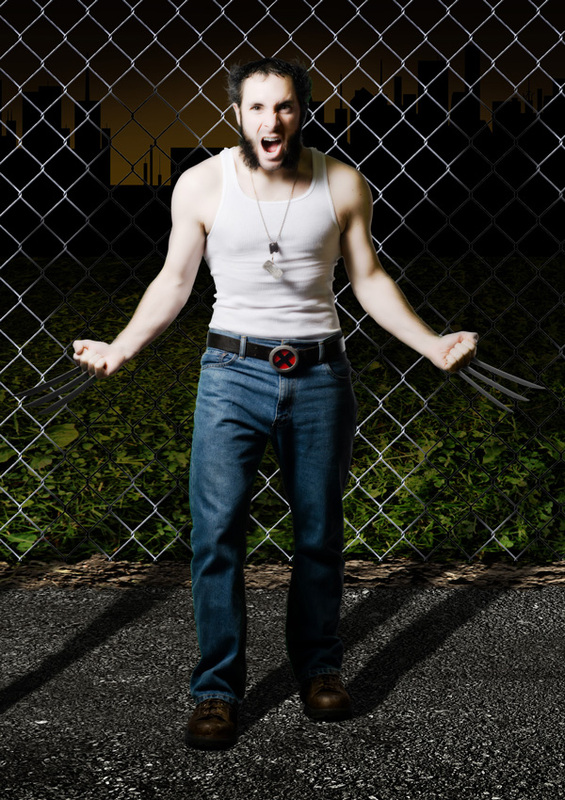 Of course I wanted to go as Wolverine, because he is the coolest one. Also I’m short and hairy, so I fit the bill pretty well. 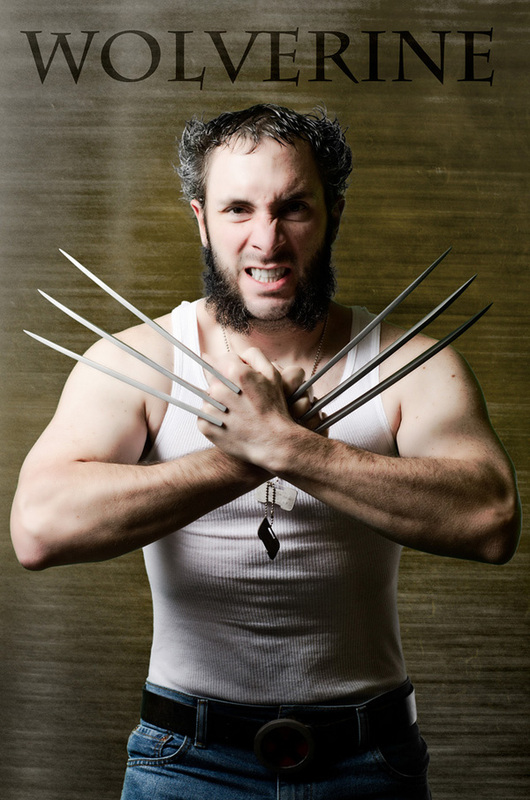 To be honest, most of the work for this costume was spent in the gym. 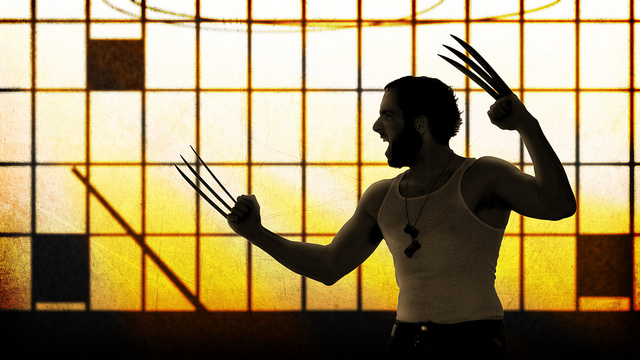 Update 2013: I remade the Wolverine Claws and made a progress video! The only real prop work was put into the claws and the belt buckle. I don’t have any progress photos, but both props were made from foam PVC. The claws have some sturdy 12-gauge stainless steel wire going through them to a wooden grip that rests in the palm of my hand. The belt is a couple pieces of layered foam PVC with a wire running out the back of it to loop my bet through. While I didn’t get any progress photos, I did take some studio photos and I even used the costume in a short film. Enjoy!